The community wants to hear from you! …we do too! What’s the best fruity e liquid? What’s the best dessert e-liquid? What’s the best sweet e-liquid flavour? Help others in the Vapoholic community choose the best vape juice for them. Leave a review of our e liquids and let other vapers know what you thought of each flavour. We’d also love to hear from you as we always listen to our customer feedback and look for ways to improve your vaping experience! Oh, and don’t forget to follow us on social media for all the latest Vapoholic and vaping news and the best vape juice deals! If you like the original nasty juice Slow Blow, one of my favourites. This tastes exactly the same. Great flavour, refreshing and hits all the right notes. I actually vaped this for a few days straight, and no headaches, flavour was always on point and it provided the usual great taste. If you've tried Heisenberg and like its mintiness, this is certainly a great choice. Definitely recommended! If Cushman is a ripe mango then this flavour is a raw, unripe mango. It is sharp, sweet and a little sour. Not all day vape. That said, Kudos to Vapoholic for making a chemical free tasting liquid, very smooth and good vapour. Just not for me. Do you remember those Parma violet sweets? The flavour is that but better. This is a very addictive vape. It's refreshing, cool and extremely tasty. Not at all chemically, this is a premium flavour. They've done really well with this flavour. Superb. Been on an e cig now for 6 years and tried hundreds of companies! Found Vapoholic about 18 months ago and will never go anywhere else!! They’re masters at what they do, recently tried their Blackjack and it’s the best liquid I have ever had AMAZING!! Keep up the good work guys!!!!! Ordered from the Ebay shop. OMG this juice is amazing. Lovely orange flavor and how do they make it fizzy??? Amazing you should definitely try this one. Excellent quality Astaire liquid. I’d go as far as to say the best version of this classic flavour that I have ever used. Strong, and perfectly balanced. Last time I ordered off of vapo I got some of these little sample bottles, apple an lemons nerds was one of now I'm back for more, lol, very nice tangy lemon,/ sweet apple flavour just wish they'd make it on ice, yeah nerds on ice would be awesome!!! too chemical imho. very fresh and cold tho. not sure if its grape I’m tasting. I can see other people liking it tho. Yet again, this will very likely depend on personal preference. It seems like I personally am happy with lemonade mixed with other flavours, but this is not it. I had about 3ml and it was painful. I got an instant headache and although I hoped it would go away, it got worse as I vaped more. I'll rate it 3* as it really depends on personal preference, however what I can do is recommend you to buy a 10ml tester bottle first. If you like it, by all means, go ahead and buy the larger bottles - you will certainly not regret it, otherwise, I can't recommend it. It tastes like a bucket full of watermelon, it's really sweet. You can also tell there's some cherry in it, however it's more subtle. The overall combo feels really great though, it's an excellent flavour. I absolutely hate minty flavours. Hate is a big word, but I absolutely hate it. Now that you're aware of this, here's the funny story. I actually purchased this accidently. I didn't realise this was full of menthol until I tried out it - *insert surprised meme here*. Well, it turns out it was one of my best accidents I've made. This is most certainly full of menthol, but somehow it does feel very refreshing and cool - literally. I will only re-buy this if I ever lose my tasting buds once again, however this is really good for being a full-on menthol flavour. I could even vape this all-day long and not have headaches. I can definitely recommend it. I must quote 'Jools' here from a previous review: "It tastes so sweet and juicy". Perfect explanation of the liquid and it is indeed some of my new favourites. Much recommended if you like some sweet flavours! Well, this certainly isn't the first cola flavour I've tried, but most likely the last one. It does taste like a cola, don't get me wrong, but it certainly just isn't for me. Due to personal preference, I feel like it'd be unfair to rate it 1*, so I'll leave 3 here. I would much recommend everyone to try out a 10ml tester bottle first, then order a larger one if you really like it. The cola flavour sounds cool, but it's certainly not for everyone. Have you tried some of those cheap small branded energy drink liquids? Great! This tastes nothing like it, but more like a proper energy drink - although I can't name any brand as it's not similar to any, in my opinion. What matters is, you do get a familiar taste from an energy drink and I personally love it, so I can recommend it if you're into that kind of flavour. It really does give you a feeling as if you'd be having the soft drink, but in a liquid format. Bought quiet a few of these and never been disappointed. It's an all time favourite. Dragon Berry. Was skeptical at first, but now it's one of my most favourite liquids. It's just the perfect amount of everything and taste incredible, it really is hard to put down and switch to another flavour. As someone who isn't a fan of Apple flavour, this is pretty nice. I could any time smoke this for a few days straight and every once in a while. If you are looking for a great Apple flavour, this might just be it. To me personally, it doesn't remind me of any other drink, however it taste great. This used to be my favourite, however after about a month of so, I've always started to get some very minty flavour out of it. It's kind of weird, it doesn't smell or taste expired, it just turns minty after some time? Please correct me if I'm wrong, but there is never anything (either in description, on label or anywhere) to say that this would contain any menthol. If you could take out the mintiness, I would much recommend it once again, and would certainly buy a lot more. Smoked this for a few days and it's really nice, relaxing - from my experience. It's my dad's favourite for sure. If you love a good coffee flavour, this is probably for you. This has an excellent berry taste. I had to take away one star however, as I really find it a bit too much on the berry side. Once I smoked it for a few days and it kept giving me a slight headache, since then, I've only been smoking it for 1-2 tanks a time. Needless to say, I can recommend it, just make sure to switch to another flavour for a few tanks/days if you find it a bit too much. This is my new favorite liquid. The way the Apple and Blackberry mix together gives you a really great blend of the flavours. The after taste is sweet, but not too sweet to the level when its considered too much. It's perfect, I can only recommend it! Keep in mind, this comes from someone who isn't a big fan of Apple flavours. It's nice, actually tastes like coffee. Outstanding taste of apple !!! I can smoke it everyday. Exceptional quality for more than a reasonable price. I'd recommend to try it. Trust me you'll love it. 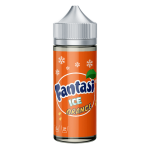 Sorry messed up done the review in the wrong place but where good now,I've just received my 120ml of fantasi lemonade and Again wow I bought a 60ml before and just had to go back for more it's a true lemonade flavour juice no synthetic taste what so ever I'll be back again and again I highly recommend this company there masters at what they do! 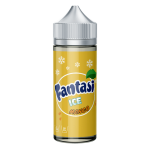 Wow wow wow Again I just got my 120ml bottle of fantasi lemonade I bought a 60ml before this and just had to go back for more it's Amazing a Absolute spot on true lemonade juice these guy's are masters at what they do I'll be back again and again for sure highly recommend this company!!!. Wow wow wow just received my 120ml of blackJack and it's Amazing just like the sweet spot on you couldn't get closer if you tried i highly recommend this juice you won't be disappointed and I'll definitely be back for more!! !